It’s Cold and Your Furnace is Dead: Who are You Gonna Call? Winters in Salt Lake City are cold. The temperatures often falling below freezing with an onslaught of snow, both in the valley and nearby mountain ranges. On February 9, 1933, Salt Lake City experienced a record-breaking temperature drop of negative 30 degrees. In those days, you’d wonder how they’d survived with their antique furnaces. The central heating system used by the majority of American homes is the furnace. There are three ways to achieve heating: fuel combustion, electricity, or induction. Heated air blown through channels and ducts that are strategically located around the house keeps its inhabitants warm during cold winters. Like everything else, furnaces tend to break down in the middle of the coldest night of the winter season. Luckily, there’s an emergency furnace service in Salt Lake City. You wake up in the middle of the night and could almost see the cold creeping up the walls and floors of your home. You run downstairs only to see that your furnace has broken down. Breakers tripping all the time, along with electrical buzzing and humming and flickering lights when you turn on the system, are all indicators of major electrical problems. This is not the time to showcase your DIY skills. Does it sound like a wild animal is caught inside and trying to get out? Furnaces are designed to be as quiet as possible. 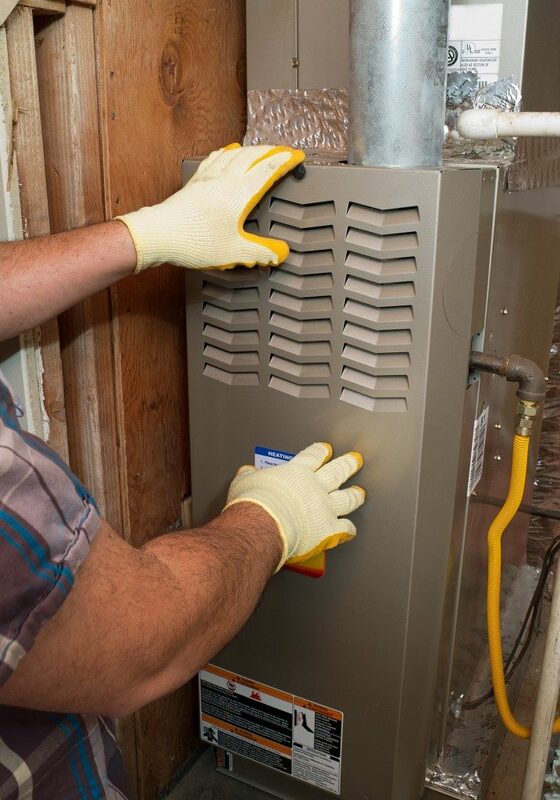 It’s almost a guarantee that if your furnace is making a lot of noise, there might be a loose or broken part inside. Ignoring this will lead to costlier repairs down the line, or worse, a total replacement of your furnace. You turn on your furnace and the smell of gas permeates the air. Turn it off right away and call an emergency furnace repair service company right away. Regardless if it’s big or small, a leak in your system is a leak. Water damage can mean major repairs and renovation. This is not the time to be stingy—call the experts immediately. That’s right; it’s supposed to blow warm air. When cold air is coming out of your furnace, something is definitely wrong. Furnaces break down for a variety of reasons, and when it happens at the wrong time, it would get stressful really fast. Call the professionals as soon as possible. Furnace repair is not costly. Why? It’s costlier to try and repair it yourself, because if you fail, the consequences may be severe. Look for a reliable company and check if their technicians are duly certified. A reliable technician would be able to tell you exactly what is wrong with your furnace based on your description of any of the above. What’s left is for him or her to look at it, assess the severity of the problem, and recommend the most viable course of action. Once the repair work is done, the technician should advise you on maintenance procedures that must be done to keep your furnace in good working condition.